The holidays have officially begun at Kylie Jenner’s place. On Thursday, December 7, she unveiled a head-turning 20-foot Christmas tree on her social media account. Apparently, the tree’s ornaments had fans speculating the baby’s gender again. Just to add some fuel to the fodder, Kylie posted a shout-out to the brains behind the Christmassy operation, Jeff Leatham, He is the artistic director at the Beverly Hils Four Season Hotel. The tree sports some fantastic festive touches and Kylie gave her fans a close-up of the view of this glamorous creation that was covered in twinkling lights, oversized pink ornaments and lots of faux snow. Lots of her fans were just happy that she decided to share with them the beautiful Christmas tree. Others, on the other hand, took to the comments section being convinced that Ky is trying to send them hidden messages regarding her baby’s gender again. We advise you to be realistic and do not expect her to come right out and confirm her pregnancy, or the baby’s gender anytime soon because it’s definitely not going to happen considering the fact that she hasn’t done this by now. ‘Kylie wants to disappear and be out of the spotlight and focus on her health and happiness,’ a source told People. It was also recently reported that she skipped an important event. 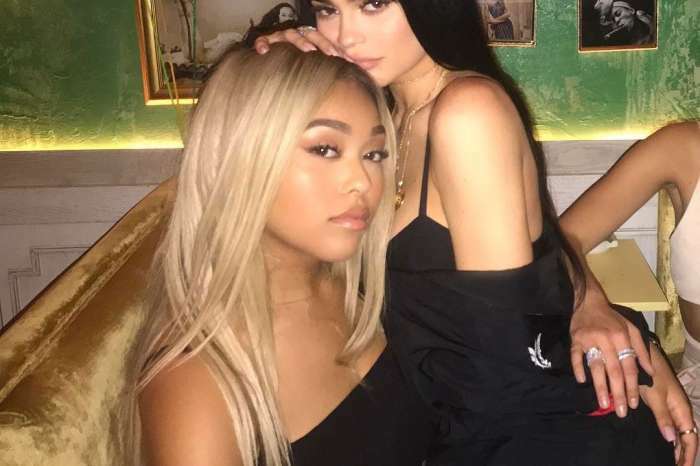 Kylie’s best friend Jordyn Woods came to the WWD Beauty Inc. Awards to accept the Beauty Newsmaker Award on her behalf. ‘It was a privilege to accept the award for NewsMaker of The Year in honor of @kyliecosmetics this morning amongst so many brilliant people at @wwd Beauty Inc Awards?’ Jordyn posted on her Instagram. 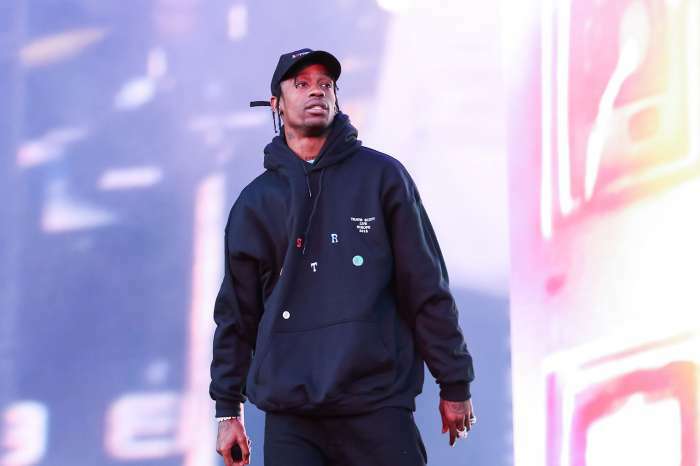 Kylie’s absence can be interpreted in lots of ways, and, of course, one of them is that she continues to hide because she doesn’t want to show her baby bump in public. Maybe she’ll spill the tea on Christmas…or New Year’s Eve…who knows?